Oooh…impressive, right? All the elements are here. Instagram user willgrayart has done a fantastic job of turning Dave Bautista into a perfect vision of what his Bane could look like in _The Suicide Squad. He’s clearly got some Venom pumping through his veins, via the neon green tubing that wraps around his body in various spots, and the artist managed to really make the character look like Bautista by including one of his very recognizable real-life tattoos. 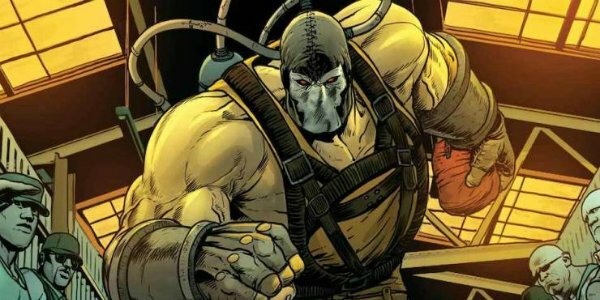 We’re even gifted the luchador-esq mask that Bane often sports in the comics, while still obviously getting a look at what Bautista would look like in such a getup. My only semi-complaint would be that Bautista actually doesn’t look quite as hugely muscled as he usually does, but there’s only so much you can fit into an Instagram post and still have us be able to see all the awesome details, so, I’m not mad at it. Ever since James Gunn was fired by Disney last summer amid some of his insensitive old tweets resurfacing, which put the future of Guardians of the Galaxy Vol. 3 in jeopardy, the cast of that film, and several of Gunn’s fellow superhero movie directors, have stood by him. While everyone in the cast was vocally supportive, with everyone signing a letter asking Disney to reconsider the decision to fire him, Dave Bautista was the only one who was obviously angry at the decision and publicly said he’d be willing to skip out on Guardians 3 if Gunn’s vision for the movie wasn’t fulfilled somehow, with either him returning as director or his completed script being used. While there has been some talk of Bautista potentially boarding the total reboot of the franchise, most of the rumors on that front have come in the form of Bautista taking on the part of a less well known character, Peacemaker, who is actually much more of a hero than a villain in the comics. But, we saw some good guys join forces with the team before, so this wouldn’t be any kind of stretch. With fans lamenting the lack of Will Smith’s Deadshot…and then rejoicing in the inclusion of Idris Elba’s new take on the character, and without knowing how much Harley Quinn we might be able to expect, lots of people are wondering just how James Gunn’s version of the team will shape up in The Suicide Squad, so the inclusion of someone who’s been so eager to take part in the film would do wonders to keep up excitement for the still sort of mysterious project. We’re sure to get more news about The Suicide Squad, and whether or not Dave Bautista will be involved, in the coming months, so stay tuned to CinemaBlend for the latest!